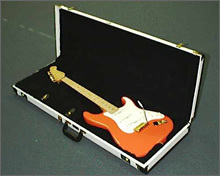 As originally supplied, the string gauges are 0.010″ to 0.046″ (as used by Hank Marvin). Want to buy one. How much please?